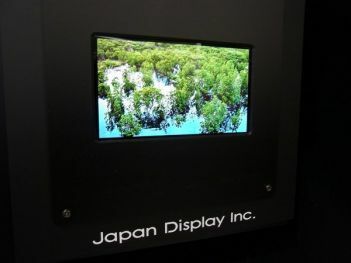 Japan Display unveiled their first OLED prototype, a 4.5" 1280x720 (326 ppi) panel at the FPDI 2012 exhibition. JD is using an WRGB architecture (white OLEDs with color filters) and a top-emission device structure. JD says that mass production of this panel will begin in fiscal 2014. Back in April 2012 they announced plans to start OLED mass production by March 2013. In any case, it's great to see their first OLED prototype.